Who doesn't like ice cream? It puts a smile on your face on a blue monday, so there is always room for some ice cream. 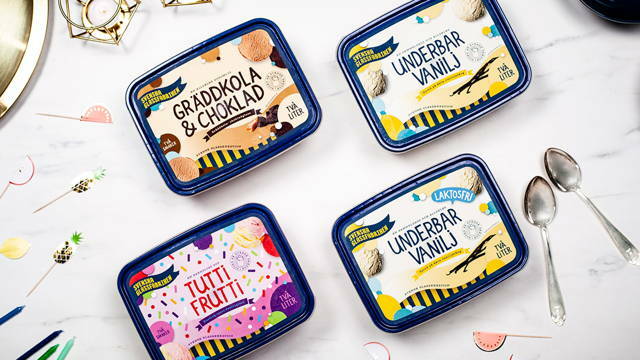 When the new brand, Svenska Glassfabriken (Swedish Ice cream Factory) was launched, the packaging was created to bring your mind to those hot summer days. All the typography was hand drawn to reflect the craftmanship that goes into making ice cream. Tasty right?